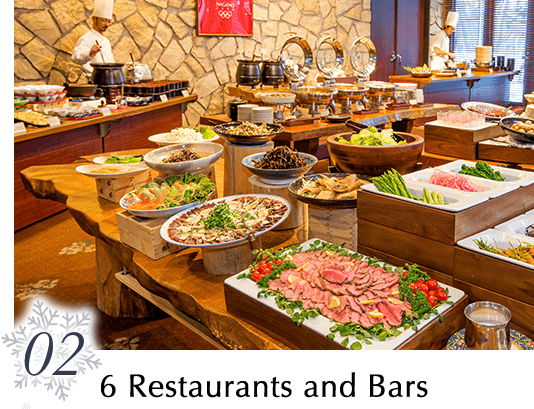 Mominoki is one the premier hotels in Hakuba, noted for its luxuriousness and location, directly at the base of the mountain and only 3 minutes walk to Kokusai lift which was the finish point of the mens downhill events during the 1998 Winter Olympic Games. All rooms are refined and are both comfortable and beautiful. Calm Japanese larchs can be seen from the windows. 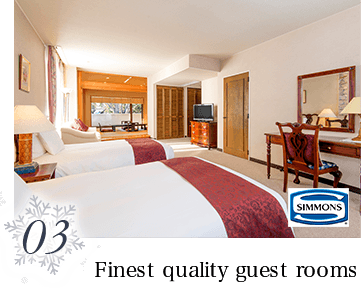 With a formal interior and daily servicing, the rooms are also equipped with Simmons matresses. Enjoy your peaceful time at this high-class resort.